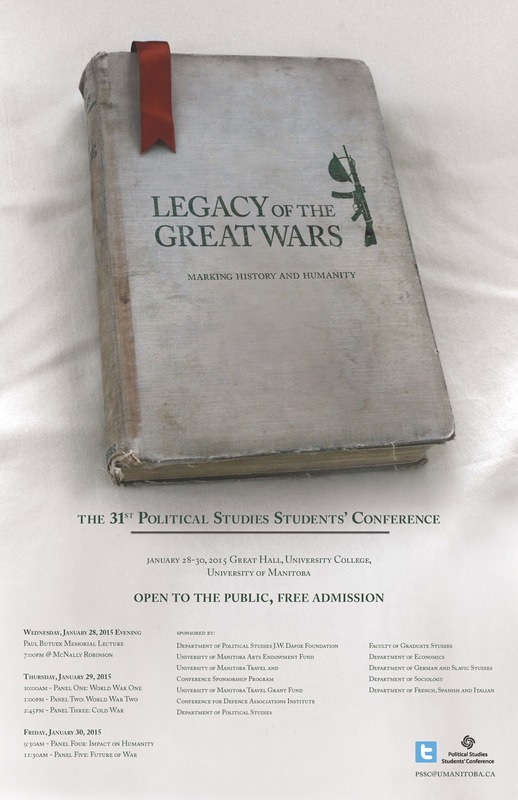 Starting today, the University of Manitoba is providing a free, public conference dedicated to the study of the Great Wars (given the confluence of anniversaries of WWI (100) start of WWII (75) and end of Cold War (25)) and their ongoing impact on Canadian society. The John Wesley Dafoe / 2015 PSSC Conference – “The Legacy of Great Wars: Marking History and Humanity” – gets always valtrex online underway tonight Wednesday, January 28 at McNally Robinson Booksellers with Keynote speaker Allan Levine (7pm – 7:45pm talk. 7:45pm – 8:15pm Q and A) presenting on “The Impact of World War One and Two on Canada and the West”. Thursday and Friday’s events will be held at Great Hall, University College at the U of M.